The All Japan Kendo Federation’s articles of association stipulate that it will carry out the following activities both in Japan and overseas. The objective of the federation is to teach and assist individuals and groups and dispatch expert instructors and other support in conducting activities for the dissemination of kendo, iaido, and jodo to cultivate character development among practitioners through putting into practice the “Concept of Kendo”. 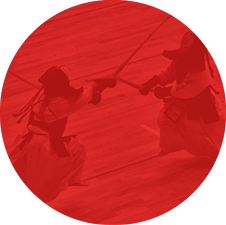 Convene tournaments, demonstrations and training sessions to popularize and promote kendo, iaido, and jodo. Organize lectures and workshops for the dissemination of technical knowledge pertaining to kendo, iaido, and jodo, and teacher training. Hold promotion examinations and award dan grades and shogo titles in kendo, iaido, and jodo. Improve, refine, and promote match and refereeing skills in kendo, iaido, and jodo. Create publications, manuals, and digital records to promote kendo, iaido, and jodo to the public through various media. Research and collate data on kendo, iaido, and jodo. Research and development of equipment used in kendo, iaido, and jodo. Confer awards on those working to promote kendo, iaido, and jodo. Activities in the preceding articles (excluding 4, 5, and 8) will also be applied to kobudo (classical martial arts) related to kendo, iaido, and jodo. Undertake any other activity deemed necessary to achieve the goals of the federation.